2019 we will be starting a different process for one of the block of the months; meeting the first Saturday of every month. Let's have fun together and meet new people! Purchase your fabrics in your favorite contrasting and coordinating colors before the first class, so you are ready to start. 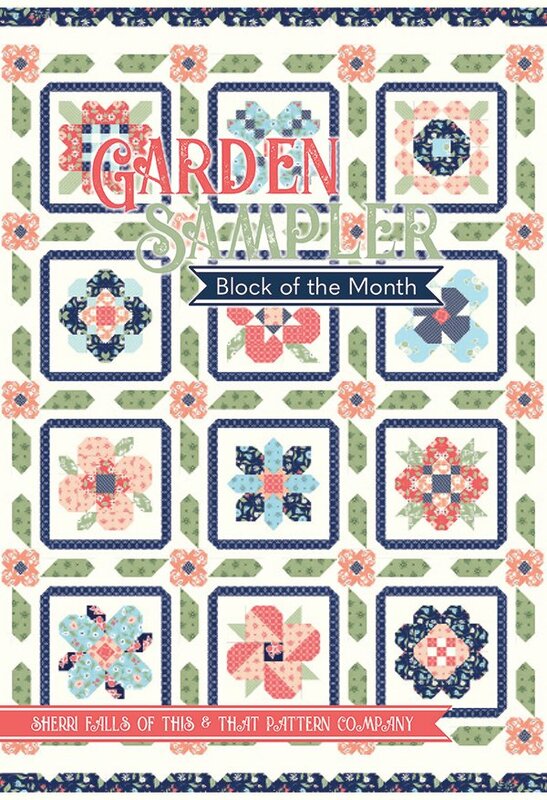 Using the Its Sew Emma Garden Sampler BOM pattern book, you will be cutting one block a month and sewing it here at the shop. By the end of the year you will be ready to put your completed quilt top together to create your finished masterpiece. Come in sign up and with the help of the staff pick out your fabrics and get them tagged to be ready for first class. Its Sew Emma - Garden Sampler BOM Pattern book You must pick 17 different contrasting and coordinating fabrics before the first class. You must be ready to go when class begins.